There are few thrills that match cheering on your favorite college sports team, an experience that evokes the tight bonds to people and places we hold dear. Commodore fans know this as well as anyone. This past weekend, we held our breath in the final minutes of the Vanderbilt football team’s near-upset of Notre Dame. The next day, we celebrated as women’s soccer beat Florida in their SEC opener and the men’s tennis team won seven matches in a weekend tournament. Make no mistake, athletics at Vanderbilt is played at the highest levels. A number of student-athletes donning black and gold today will soon go on to professional careers. Scan the sports headlines and you’ll find any number of former Vanderbilt champions—Red Sox pitcher David Price, champion LPGA golfer Marina Alex, New England Patriots running back Ralph Webb, to name a very few. But Vanderbilt athletics is different in one vitally important way: Excellence in the classroom is every bit as important as performance on the field. For the past 15 years, David Williams has worked diligently to create an environment that fosters achievement in both realms for our student-athletes, proving that these goals can—and indeed should—go together. Thanks to David’s leadership and dedication, Vanderbilt has brought home four national championships during his tenure while student-athletes have earned higher than a cumulative 3.0 GPA for the past 13 years. And we continue to reach new heights. For the 2016-17 school year, a total of 11 Commodore athletic programs finished with perfect Academic Progress Rates, a benchmark used by the NCAA to monitor academic achievement. This is what I like to call “The Vanderbilt Way”—binding together the university’s core missions of learning and discovery while forging a new generation of leaders. This model is one of the best recruiting tools our coaches possess. They are able to tell players, “At Vanderbilt, you will compete at the highest athletic levels AND receive an education that is second to none.” We are fortunate, and almost singularly unique, in being able to make that claim. As we express our deep gratitude to David Williams and begin the search for a new athletics director, The Vanderbilt Way will be the principle that guides us. Another core value of this great university is a steadfast commitment to listening to, and learning from, a great diversity of perspectives to help drive us forward. To that end, today and over the next several weeks I will undertake a variety of initiatives designed to gather input and spark dialogue about Vanderbilt athletics and what is needed to continue our progress. We’re starting with a new website designed to collect feedback from our broad and diverse community, where I hope you’ll add your voice. Additionally, we will begin hosting conversations with coaches, students, alumni, faculty and staff, as well as our larger fan base. We’ll also schedule a series of small-group meetings around the country with former players, longtime supporters of Vanderbilt athletics, and other alumni leaders. All of this feedback not only will inform our search, but also provide valuable insights to our next athletics director. Vanderbilt trailblazers like Perry Wallace and Godfrey Dillard—all the way through to David Williams—have shown the power of athletics to change society for the better. I’m determined to uphold that ideal as we embark on the next chapter of Commodore history. I’m also eager to have the wider Vanderbilt community play a role in strengthening and building upon our successful model of educational and athletic excellence. 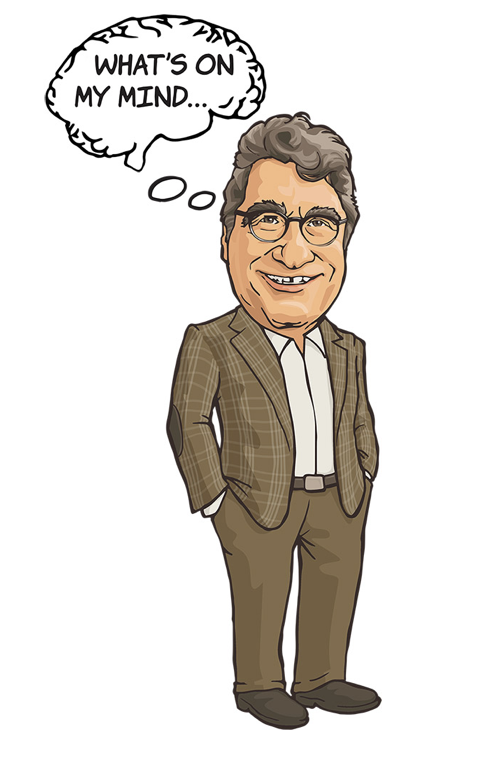 What’s On My Mind is a regular column from Vanderbilt University Chancellor Nicholas S. Zeppos on the life, people and mission of Vanderbilt University and issues affecting higher education today. Share your thoughts at chancellor@vanderbilt.edu.